Joseph Éamon Cummins, an award-winning writer, taught creative writing and psychology for ten years. 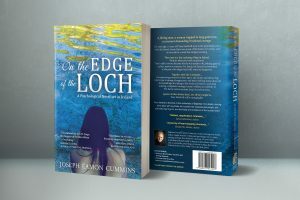 His new novel On the Edge of the Loch: A Psychological Novel set in Ireland is available on Amazon in print or ebook – http://amzn.to/28RRRdt.. Contains a 10-page Guide for Book Clubs, Teachers, and Writing Students. Plus, an in-depth interview with the author.